Taiko is so much fun! It’s no wonder that these performances are a hit with audiences young and young at heart around Japan. Come and enjoy the power of taiko with your five senses as you watch, listen, and move to the beat with Kodo. 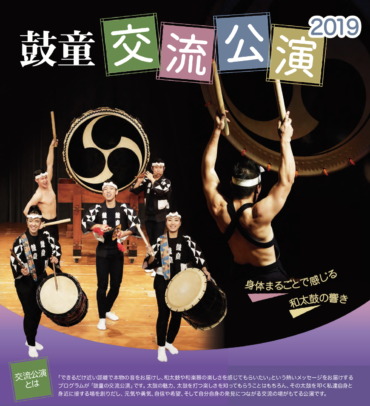 Through talks by the performers throughout the upbeat performance and a hands-on experience corner, you will get to know Kodo and enjoy taiko in brand new ways. To include Chonlima, O-daiko, Yatai-bayashi, and more. *Programme and cast may be subject to change.